… to store heat long term and without loss? The biggest challenge for a sustainable energy revolution is not the quantity of energy produced, but the limits of energy storage. On paper, the German climate allows to produce a full supply of heat via sun and wind energy. In reality, four seasons with a broad range of climate fluctuations make a constant energy output problematic. Hence, the development of products for long term and lossless energy storage has to be our first priority. The prime feature of the HM Thermal Battery is the ability to store surplus heat. Surplus electricity can also be used to charge the Thermal Battery. In the latter case, the stored heat can’t be re- converted into electricity at the end of the storage process. In general, the Thermal Battery is best suited to store surplus energy from renewable sources. In all other cases (e.g. industrial waste heat, thermal power stations) we recommend the application of energy saving measures instead. The framework conditions for renewable energy are fairly unpredictable. Sun and wind don’t always “work” the way we want them to. Furthermore, supply and usage interact with each other in ways not yet fully explored. Principally, it shall be assumed that a broad distribution of the technology enhances the efficiency of the Thermal Battery. 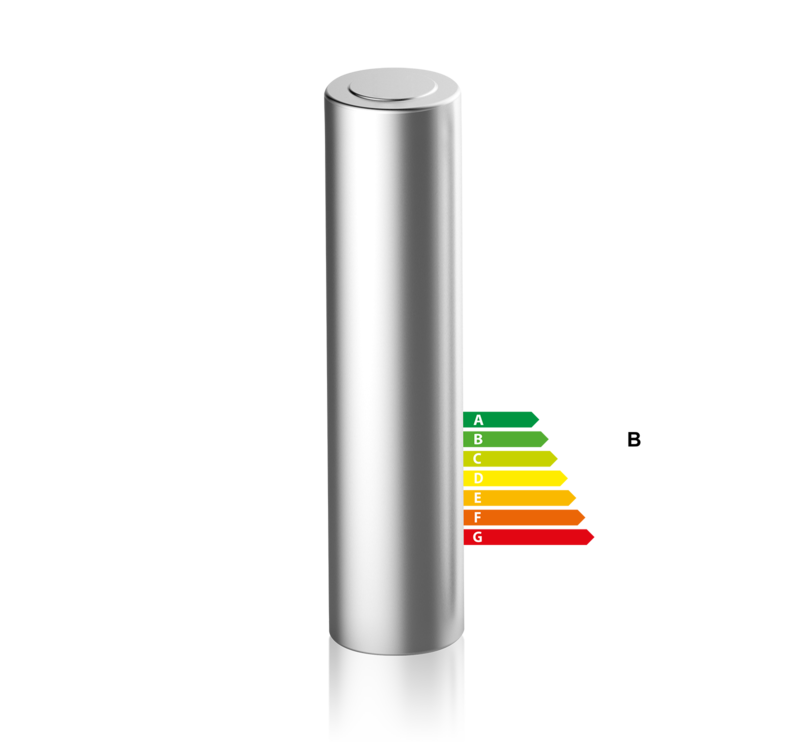 The Thermal Battery is a latent heat storage system based on the utilisation of the so-called “undercooled liquid”. Undercooled liquid is a state also utilised in heat cushions. In terms of thermodynamics, it signifies the temperature drop of a fluid below the regular freezing point, without the fluid actually becoming solid. The undercooled liquid has a lower temperature than its aggregation would suggest. In this state, latent heat can be stored long term and released selectively via crystallisation. This technology puts an end to the imperative of direct consumption for renewable energy. Some companies apply the term “latent heat storage” very broadly, just basing it on the involvement of a PCM (phase change material). At present, only HM offers a latent heat storage system which also utilises the state of undercooled liquid. Further distinction is provided by the difference between passive latent heat storage (without intervention, heat is stored / released during the phase change) and active latent heat storage (the heat release is triggered manually, utilising the undercooled liquid). 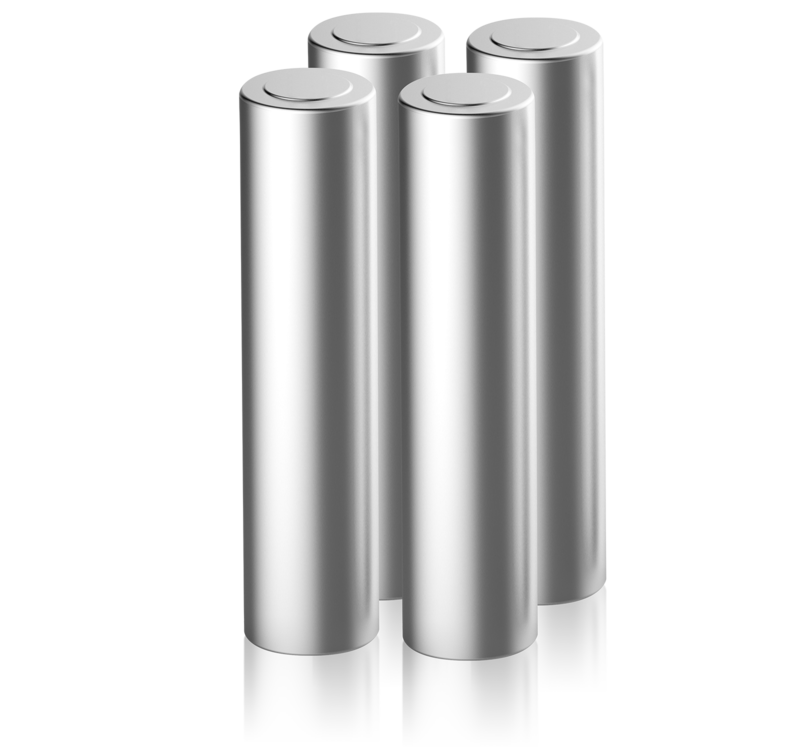 The SU-C version of the Thermal Battery is composed of a set of identical stainless steel cylinders (diameter approx. 500 mm, height approx. 2.000 mm). The heat introduced from renewable sources is stored long term in the single cylinders, utilising the storage medium sodium acetate trihydrate. Due to the modular concept, it is possible to customise the Thermal Battery for different and changing requirements. Furthermore, it is easy to implement upgrades on the project. Our first model LOT can be used as a stainless steel cylinder for conventional storage, while also featuring the first application of the latent heat storage functionality via undercooled liquid. For now, the volume stored via undercooled liquid only marks a small proportion of the total storage capacity. Nevertheless, all the processes defining the full HM Thermal Battery technology are already introduced here. LOT serves two further functions: 1. As a test project it gives valuable insights into the algorithms of latent heat storage via undercooled liquid. 2. LOT can easily be upgraded to the SU-C version at a later stage. The German TV channel MDR features our Thermal Battery. 1 principle, 2 system versions. As of now, the Thermal Battery technology is not available in large-scale production. Our target group is first and foremost the type of aspiring builder not singularly focused on his / her amortisation calculation. Being a Thermal Battery early adopter means taking part in the implementation of a new technology. For the efficient application of the system it is necessary to determine if all the necessary prerequisites are fulfilled. A checklist is available for discussion between the involved parties (builder, installer, HM). i-Select is the distribution program providing all the components and packages for the Thermal Battery. System packages containing solar panels, Thermal Battery system, Thermal Battery control as well as energy saving radiators are available through our professional partner network. The core of every system package is the respective Thermal Battery system: LOT or FULL SIZE. The Thermal Battery Control is the main operating link between the solar panels and the Thermal Battery system. Energy saving radiators ensure that the stored heat is returned efficiently into the heating circuit. Our professional partners help you to select the system package fitting to your needs. All matters of installation and commissioning are also best discussed with your preferred local contact. If you are located outside of Germany, best use our request form or call us directly. Are you ready for heating like tomorrow?